Anything can be custom made to your liking. Pick out a pre-made Easter basket at the shop, or pick out goodies to fill your own. Let us know what we can make for you today! 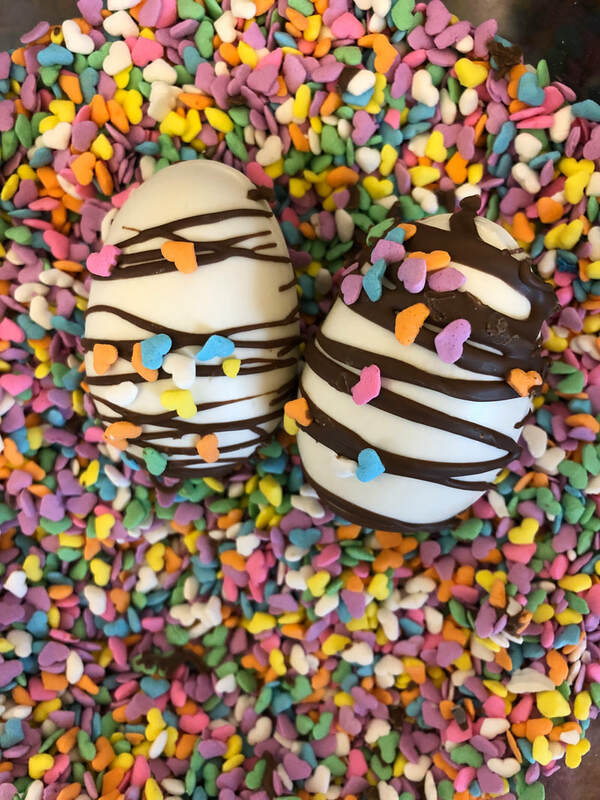 Carrot Bunny Lollipop: White confection or milk chocolate Easter lollipops! Easter Bunny Lollipop: Either in milk chocolate or white confection. Great for basket stuffers! 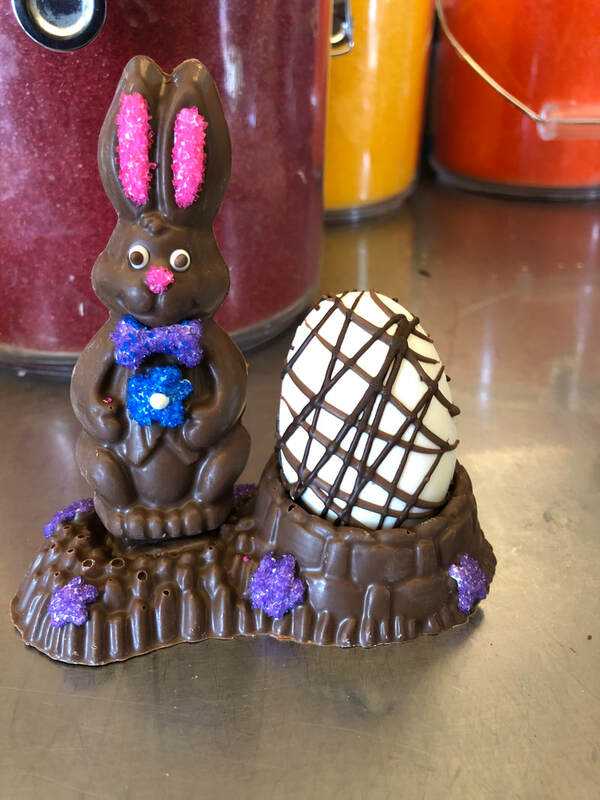 Egg Bunny: Decorated in endless color combinations, this Easter bunny is unique, and can be the center of your Easter baskets. Complete with a candy filled egg. Filled Easter Eggs: Chocolate eggs filled with various fillings! Coconut cream, peanut butter, and oreo cream. 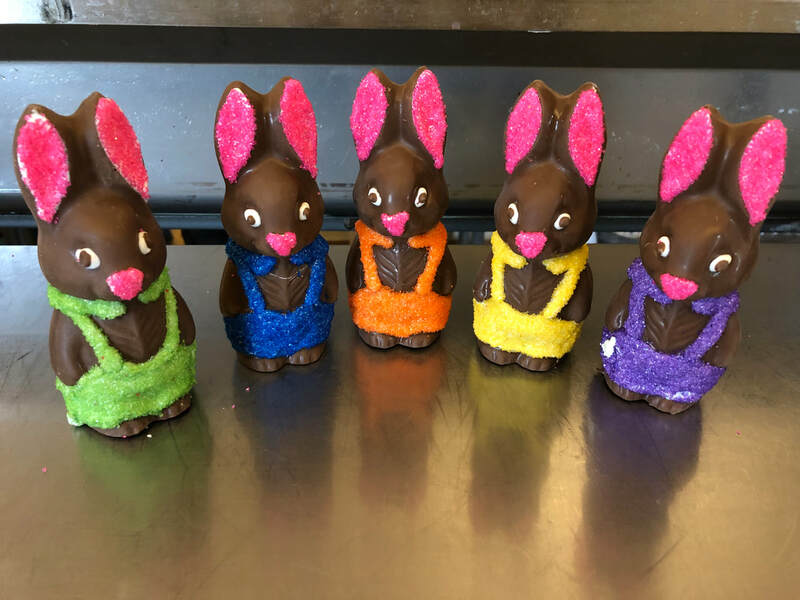 Click HERE to see our Easter Apples!